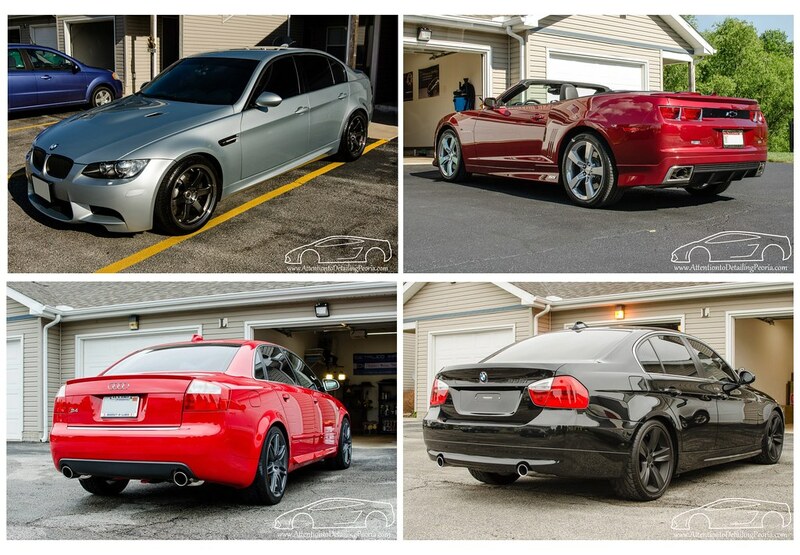 This is part 2 of a 4 part series, where Zach McGovern will share his personal detailing story. Zach will cover his love for detailing, his own shop, a growing business and ultimately, where all of this led. To see all of the articles in this series after they post, click here. In Part 1 of this story, I provided a bit of background on how my detailing hobby had turned itself into the start of a small business. In this segment, I’ll walk through the early stages of my business, how it was growing, and how I was adapting. Let’s pick the story up right where I left off… I had just acquired my first customer. The task at hand was a relatively simple one-step correction to bring back some life into a daily driven vehicle. The car was dropped off at my apartment in the morning, and I had it ready to go later that evening. After reading countless write-ups on the Ask-A-Pro Blog and other detailing forums, I documented my work in a similar fashion so I could share it with the community. I posted the photos and appropriate dialogue on the local forum, and the requests for work started rolling in! To be perfectly honest, it had never occurred to me that I should or could start a detailing business. I hadn’t given it a single thought… not until this exact moment when I had several more requests for work. I had graduated college a year or so prior to this, was living with my fiancé in an apartment, and had plenty of free time on nights and weekends. It became clear that this was something I could do in my spare time to make some extra spending money, and more importantly to fund my detailing obsession. I started out charging next to nothing for my work, but at the time I felt it was a lot! If I remember correctly, I was charging around $75 for wash & wax jobs, $150 for a one-step paint correction services, and $250 for a multi-step correction job. The demand was quite high for my work, and every weekend I had a job scheduled. After my first few months of work, it became too cold for me to operate out of my garage, so I used the winter to take a step back and evaluate what I had started, and where I wanted it to go. I created a website, started a Facebook business page, and started promoting my services in local forums by becoming a paying sponsor. In the springtime, I had a waiting list to keep me busy. I continued grinding away out of my single stall apartment garage. I focused mostly on the paint correction work, as that was where my interests were. I documented every single job and shared them on the forums to keep people interested in what I was doing. I also made an effort to post regular updates on our Facebook page and to continue growing my online presence. As demand continued to grow, it was becoming more and more challenging to keep everyone happy due to what was turning into an excessive waiting list (not a bad problem to have). It became clear to me that things were going to need to change. In the middle of this same year, I had gotten married, and we had moved from our apartment into a house with a 2 stall, detached garage. I immediately transformed the garage into a detailing bay so I could continue working. I took a bit of time off during this transition, and with my new personal obligations to my wife and my new house, I again took some time to reevaluate how I should value my time. I was working all week as an engineer, working all weekend on detailing projects, and sacrificing any free time I had to pursue my other hobbies/interests, and of course missing out on time to spend with my new wife. If I was going to give up my free time, it needed to be worth my while. I needed to make more money to justify the sacrifices. Detailing started out as a hobby, a hobby that then started paying for itself, but now it was a business. It took me a while to fully grasp this concept. This is work, and I wanted to get paid for my hard work and time away from people and things that I loved. In my first 8-10 months of business, I believe the most I had charged for my services was around $300 for a multi-step paint correction job. Averaging $15-$20 an hour just wasn’t worth the sacrifice anymore. I felt that I was offering a service that no one else in our area could, and I decided to increase my prices significantly at the end of that year and I would also overhaul my service offerings and website for a completely new look and feel to my business. I made the decision to remove all “basic” detailing services, leaving just paint correction work. I also began to push the newer nano coatings that I had been experimenting with on my personal vehicles. I was unsure how the market would respond to these changes, but I knew I had to make the change before I got burnt out. Initially, I lost the interest of many people who had been wanting me to work on their cars, but I noticed I was beginning to gain more interest from higher end clientele. Higher prices were attracting higher end vehicles. Demand was still steady, I still had a waiting list, and I was making double the money I had been making previously. With the steady flow of paint correction work, my technical skills were rapidly increasing. It is amazing how quickly you learn when you get real world, hands on experience. My results were being taken to new heights, and I also began learning a lot about running a business. Things like building a professional website, marketing, branding, networking, etc. all played into the growth and success of my part-time business. To be perfectly honest, the majority of this was trial and error. I learned a lot by making mistakes. I continued to grow, slowly but steadily throughout the end of that first year, and into the 2nd and 3rd years of business. I continued making changes when I felt they were necessary. Prices continued to rise. Services were modified. My customer service abilities had completely changed. I was confident in what I was doing, and I wasn’t afraid to demand premium prices for my premium work. very interesting story. love it! I too have a passion for car detailing, though on a personal level, with a couple of my exotic cars and some family and friend cars. If you have the time and passion… go for it! Why wait until then? Get started now if you have the time! I retired 10 years ago. After 3 months I was climbing the walls. 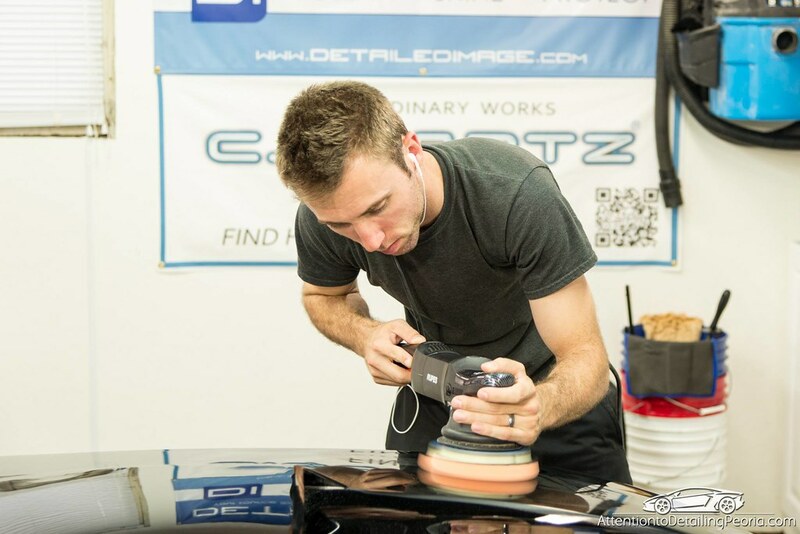 I started my detailing business slowly and learned about the products and processes available on this site. I average about 100 vehicles a year. All types, not just high end vehicles. I personally like the satisfaction of transforming an average vehicle into an outstanding vehicle. I make about $50/hr. which is great and pays for lots of Happy Hours at the beach plus mods for my16 BMW 228ix. I run my business out of my 2 car garage. The name of my business is Ray’s Custom Car Care. I pick up my customers vehicles and return them. My business cards states the name of my business plus underneath it reads Vehicle detailing with a personal touch. Some of my customers have become friends. Nice work, Ray! Thanks for sharing. Thank you for the great tips. I plan to put an advertising plug on Facebook and get a Website designed. Thanks for sharing, Zach. I’ve slowly finding my niche for my area and have been focusing on a relatively small 10mile radius from my home with pretty good success. As of lately, I’ve been more focused on the LLC registration, insurance, and prepping my application to be a Gyeon Quartz certified installer. How do you value the certifications? It seems some are super easy to obtain, but I’d rather choose a company that matches my preferences, like Gyeon. Hi Larry – early on, I put a lot of weight into the fact that I was a certified installer of various professional coating products, but what I had found out over the years is that the majority of my customers did not care what product/brand I was using. They were more concerned about me and how capable I was to do the job they hired me to do. I eventually removed all product names/branding from our website and service literature as it seemed to confuse customers more than direct them towards a specific package. Long story short – don’t believe that simply having a certification to install a product will get you business. You will succeed or fail regardless of what products you offer… it all depends on how you personally operate your business and manage your customer’s expectations. Thanks for sharing nice tips. Hey Timothy – thank you for the comments! Awesome! Keep it up, and good luck! Thank you so much! DI really is my favorite detailer website! Thanks for the awesome products and even better deals!